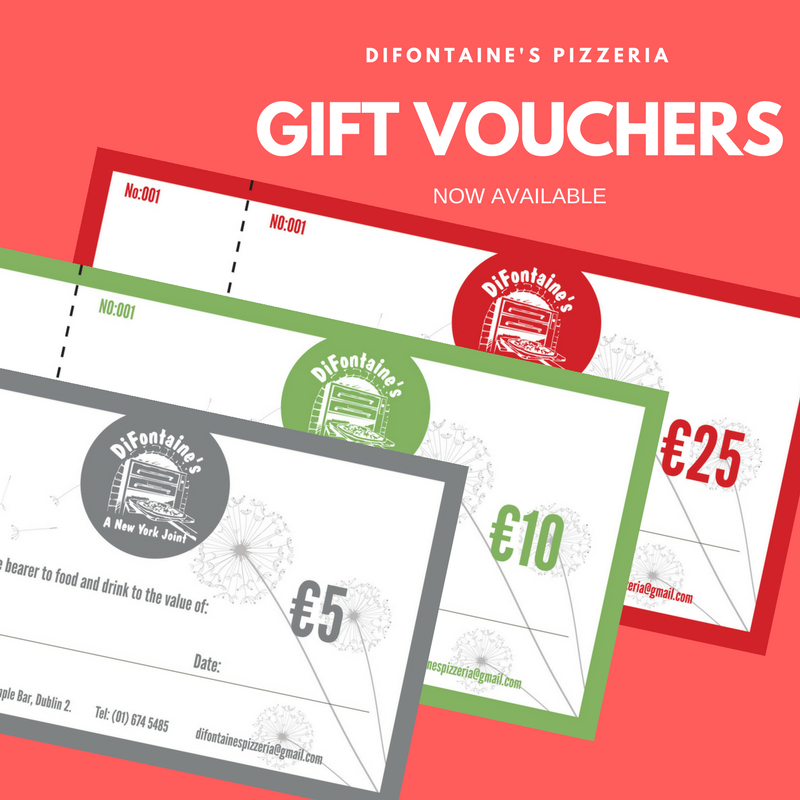 I’m sure you can think of a few pizza lovers amongst your friends and family who would love Gift Vouchers from DiFontaine’s Pizzeria in their Christmas stocking this year. Never mind Christmas though…..wouldn’t they make a great gift for any student in your life? Think about it. You’re at college in Dublin’s City Centre and low on the old funds….drop into us for one of our HUGE slices of pizza for as little as €3.50 and that’s lunch sorted.